About the Book: Okay, so maybe Shelby has made a few mistakes with boys lately (how was she supposed to know Wes had “borrowed” that Porsche?). But her step-mother totally overreacts when she catches Shelby in a post-curfew kiss with a hot senior. Suddenly Shelby’s summer plans are on the shelf, and she’s being packed off to brat camp. It’s good-bye, prom dress; hello, hiking boots. Things start looking up, though, when Shelby meets fellow camper (and son of a rock star) Austin Bridges, III. But soon she realizes there’s more to Austin than crush material—his family has a dark secret, and he wants Shelby’s help guarding it. Shelby knows that she really shouldn’t be getting tangled up with another bad boy…but who is she to turn her back on a guy in need, especially such a good looking one? One thing’s for sure, that pesky full moon is about to get her into trouble all over again. GreenBeanTeenQueen Says: Ok, bad boys, werewolves (maybe? ), and an awesome nod to little red riding hood in the cover, I can't wait to read this book!! GreenBeanTeenQueen Says: Ok, I couldn't really find anything about this one, but again, awesome cover, so I'm judging it on that and I want! I want both of these as well. 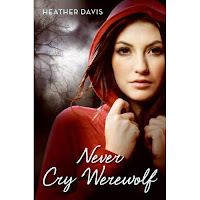 Never Cry Werewolf sounds plain awesome, and I'm a Laura Ruby fan. Oh excellent wants for sure! I love werewolves so hopefully the story will live up to its promise. 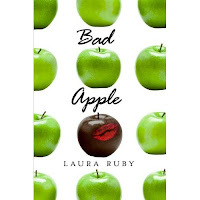 I would love to read Never Cry Werewolf and the cover on Bad Apple is great(I would love to know more about it). !